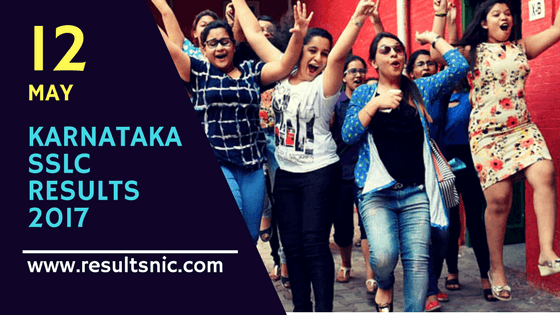 Karnataka SSLC Result 2017: Karnataka SSLC Results 2017 is announced on 12th May 2017 2 PM. Students from Karnataka State can check their result on the website karresults.nic.in. Karnataka Secondary Education Examination Board (KSEEB) declared the 10th class public examination results in 2017 on Karnataka results website. karresults.nic.in, kseeb.kar.nic.in are the official websites to get the results. Direct Links to the result servers are given below. Approximately 8.77 lakh candidates appeared for Karnataka SSLC examination 2017. In 2016, the overall pass percentage was 79.16 and girls outperformed boys in class 10 examination. Further, the girls secured a pass percentage of 82.62 as against boys who scored 74.84 per cent. KSEEB conducted Karnataka SSLC Exam in March 2017. 8.77 Lakh students from Karnataka state appeared on the SSLC Exam. Those who fail to clear the exam can appear for the supplementary exam in the month of June. The supplementary examination will hold 2770 exam centres across Karnataka State. 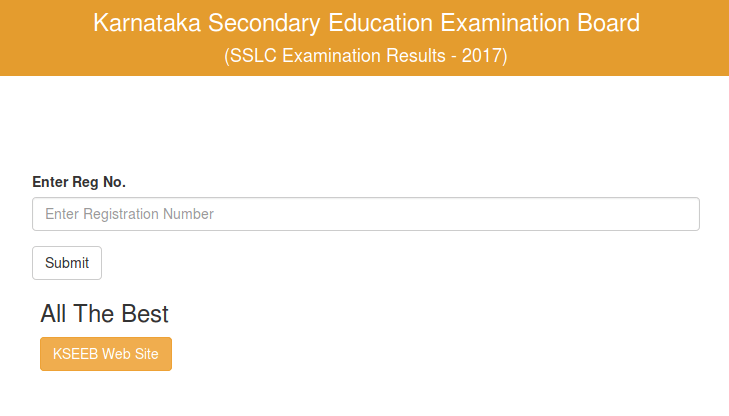 click on link "SSLC Results announced on 12th May 2017 at 02:00 PM"
You will get the results with marklist. Karnataka Secondary Education Examination Board came in to existence in the year 1966, since then it has been conducting SSLC and other examinations. The board conducts the examination every year in April and June and a total of 10 lakh students appear for the SSLC examination. The board also conducts the supplementary examination for the unsuccessful candidates of the examination of March in the month of June every year itself.